The Marsden M-430 portable adult scale is commonly used by community health visitors, health centres, GP surgeries and for remote monitoring of patients. It has a capacity of 220kg and graduations of 200g. The non slip surface, robust design and optional Bluetooth make it a suitable scale for gyms and fitness centres. 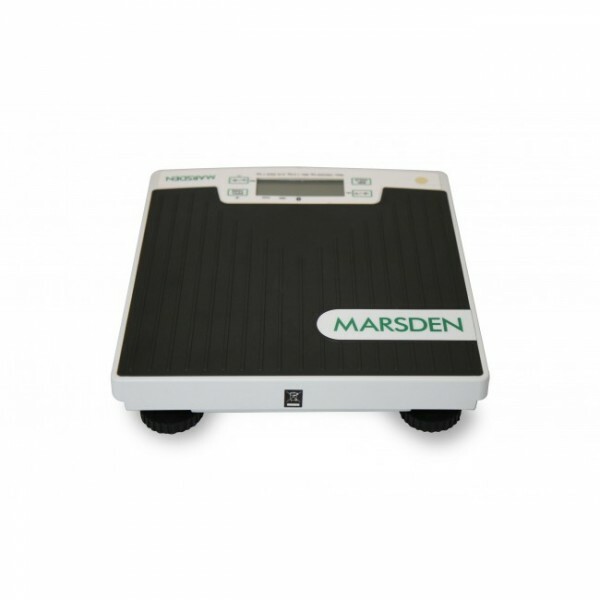 The M-430 Floor Scale is a very easy to use digital weighing scale. A simple tap-on feature means there's no bending down to switch the scale on, and the hold of weight feature means there's no need to bend down to press the 'hold' button to hold the patient's weight. This is a lightweight floor scale that's very portable - but there is an optional carry case should you need it. Being Class III approved, this digital weighing scale can be used to monitor, diagnose and treat patients. A telehealth option, with built-in Bluetooth, allows patient data to be transferred instantly from the scale - meaning patients can be remotely monitored.